A civil society group has welcomed the government’s plans to allocate ring-fenced funds for thousands of pupils in need of scholar transport. The announcement by Basic Education Minister Angie Motshekga yesterday followed the death of 18 pupils in Mpumalanga, who were ferried by privately hired minibus taxis to two Gauteng schools – Refano Primary and Mahlenga Secondary schools. Their taxi and a horse-and-trailer collided on the R25 between Bronkhorstspruit (Gauteng) and Groblersdal last month. The distance between Wolvenkop, where the pupils’ homes were, and Bronkhorstspruit, where they studied, was about 46km, according to Google. They travelled to Gauteng because their nearest schools were not offering isiZulu but isiNdebele. Motshekga told reporters at a media briefing in Parliament this week that at a meeting between the portfolio committee on education and basic education and officials from the transport department on Tuesday, the committee was told that norms and standards and an operational guideline for the pupil transport policy has been developed by the transport department. “Assessment of costing and funding for policy implementation is currently ongoing. Development of a standardised model contract to guide contracting authorities has been developed. “Both the basic education department and the transport department are closely monitoring the roll-out of the learner transport programmes,” Motshekga said. She said the policy provides for the establishment of a national inter-departmental committee to oversee the implementation of the learner transport programme. The committee is comprised of national and provincial transport departments and education departments. Motshekga said the committee met on quarterly basis to receive progress on the implementation of the learner transport programme. The committee reported to Motshekga and Transport Minister Joe Maswanganyi. She said the inter-departmental committee was established and four meetings were held for the 2016-2017 financial year. Reports from the committee had been submitted. • Existing transport services must be taken into account when identifying beneficiaries because no transport services would be provided in areas where public transport is available in order to avoid duplication of services and resources. Motshekga said based on the criteria the committee was given a report on the number of pupils transported over the last year. • Western Cape has 58 000 learners to be transported at a cost of just over R380 million. This amounted to more than R3 billion spent on scholar transport. The minister said Equal Education was present at the meeting held on Tuesday and provided a submission to the portfolio committee on education making the case for a conditional grant for scholar transport. “While the department disputes the figures put forward in the Equal Education submission as grossly incorrect, the deputy minister [Enver Surty] indicated in the meeting that the department is open to looking at a case for the ring-fencing of the learner transport budget in the form of a conditional grant to ensure that the budget is spent in the area it is intended for. The relevant engagement will be undertaken with Treasury to see if this is a possibility,” she said. Equal Education spokesperson Mila Kakaza said this was a victory for their members, who have worked tirelessly to put free, safe scholar transport on the agenda of national and provincial government. Kakaza said the basic education department’s engagement with the national treasury must be meaningful, and the outcomes shared publicly. “We will hold the department to their commitment. Since 2014, Equal Education has been campaigning for provision of scholar transport in KwaZulu-Natal and in South Africa. 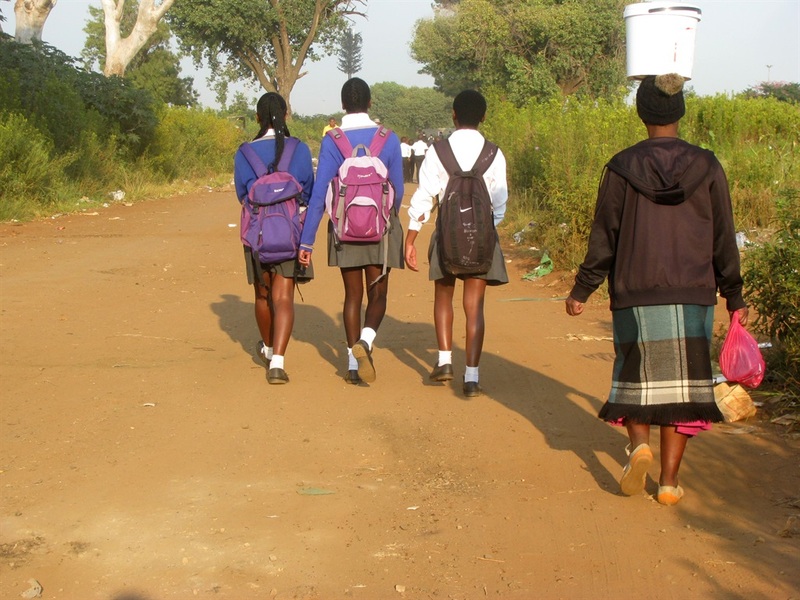 Members of Equal Education, based in Nquthu, in northern KwaZulu-Natal, raised the lack of scholar transport as a serious barrier to accessing education. Equal Education has previously made submissions to Parliament related to the implementation of a conditional grant for scholar transport, and the rationale for this much-needed additional, ring-fenced funding,” Kakaza said. In 2016 and this year, Equal Education and the Equal Education Law Centre made submissions before the Standing Committee on Appropriations, making a case for a conditional grant for scholar transport. She said the education department’s numbers showed that it was failing tens of thousands of pupils. In the department’s 2015-2016 annual report, 516 886 learners were identified as requiring scholar transport. Of this, only 386 448 learners were actually transported. This year, the department's school readiness report identified 524 662 pupils as requiring scholar transport, but only 405 047 would be transported in the 2016-2017 financial year, leaving 119 615 learners stranded. “Equal Education has experience from its campaign for scholar transport in Nquthu, that the KwaZulu-Natal department of education incorrectly classifies learners as attending schools of ‘choice’ rather than their nearest school, and consequently does not consider them to qualify for transport. Such learners would not be contained within a department assessment of the need for scholar transport,” Kakaza said. Also, the national learner transport policy did not specify a distance which pupils would need to travel in order to qualify for transport, she said. Kakaza said KwaZulu-Natal learner transport policy specified 3km in one direction, while the minister yesterday spoke of 5km. “It is not clear where this number comes from, because no norms and standards have been published for the national policy. What is clear though is that the number of learners considered ‘in need’ by the department of education has scope to vary widely depending on variable criteria. For instance, the joint presentation by the transport and education departments to the portfolio committee states that in 2016-2017, 521 711 learners were in need of transport, while in 2017-2018, 556 294 learners required the same service. The size of this increase suggests that the education department may have now captured learners it had previously missed,” Kakaza said.